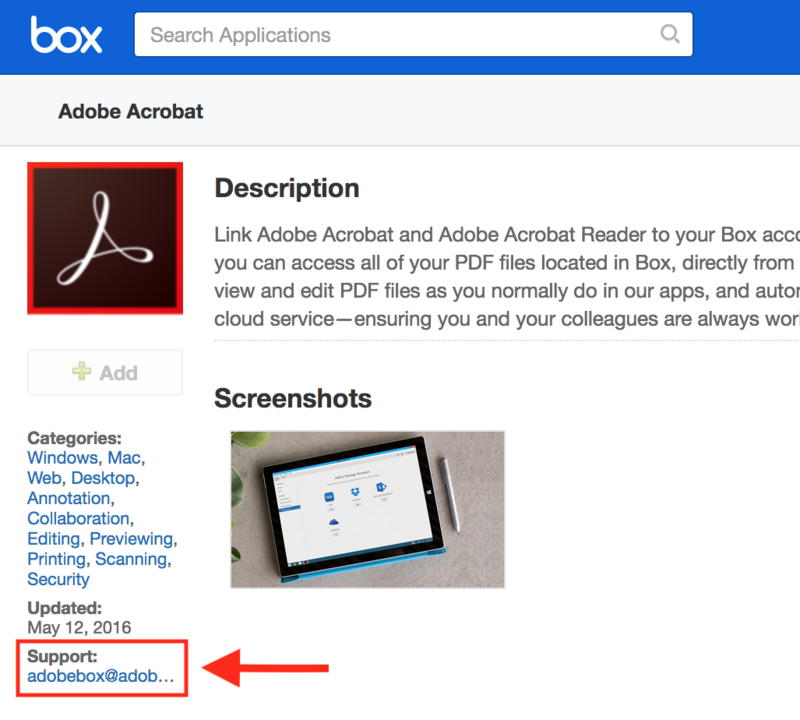 This document provides information on the various apps available for use with your Box account. For assistance getting started with UW-Madison Box Service, select a topic below. You can go beyond Box's basic features by utilizing some of the many apps available for account access and integration. Some of these apps allow you to access your UW-Madison Box account on mobile devices, while others incorporate features that add or expand upon existing options. It is important to note that the majority of these apps are not officially endorsed by Box. Please read on to the next section for more information on official vs. unofficial Box apps. Just because an app is not officially endorsed by Box does not mean it is necessarily unsafe to use. All apps listed under the Apps tab have been reviewed by Box; in fact, a few unofficial apps are installed for your account by default to add features that would not otherwise be available, e.g., Aviary for image editing. While these unofficial apps are legitimate, there is one major caveat—only official Box apps guarantee the same level of security and compliance covered in UW-Madison's license agreement with Box. While it is not in violation of the terms of service to use a third-party app, you must be aware of this distinction when working with sensitive data. For example, if you are managing data that is subject to HIPAA regulations, it is your responsibility to work with your HIPAA Security Coordinator to ensure any unofficial apps you may use to access this data have individually guaranteed that they are also compliant. All Box apps are available for download and will typically be installed using the standard procedure for your Operating System or device. For Windows and Mac OS X, this will involve downloading and running the installer file. Installation instructions are often linked from the app's description page and/or included in the installer. If you need additional assistance installing an official Box app for use with your UW-Madison Box account, please contact the DoIT Help Desk. For all Box apps that are configured to use Single Sign-On (SSO), you should be able to login using your NetID password, however, many apps will not have this option available. If you plan to use an app that does not have SSO capabilities, you will need to create a special external password that will be tied to your account. For instructions on configuring an external password for your account, please see: UW-Madison Box - Creating an External Password.